The TRX push-up is an intermediate upper body exercise that targets the chest, shoulders and arms. 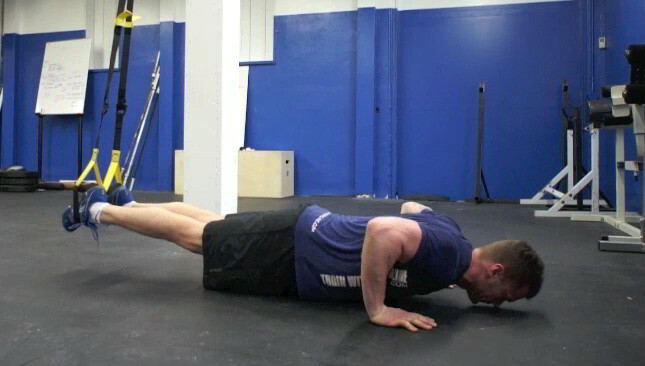 The TRX suspended push-up is a slightly new twist on a classic exercise. 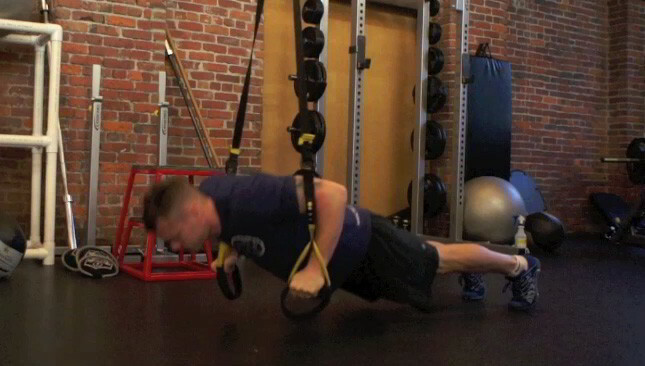 The TRX adds an element of instability and increases the difficulty of the old school push-up.